How do I become a Food Bank volunteer?? Becoming a Food Bank volunteer is quick and easy! Simply register on our site by clicking here. All you have to do is answer a few simple questions and you’re all ready to go! After you’ve created your profile you can browse our calendar of opportunities where you can directly sign up for shifts. What if I don't have a computer? Can I still volunteer? Internet access often is just a few steps away. New York City libraries offer free access to computers and internet, as well as computer classes to help you navigate! Click here to find a public library in your area, or call our Volunteer Engagement Team at (212) 566-7855 ext. 2253. All volunteers are oriented on site by Food Bank staff onsite at the volunteer project. They’ll tell you all about the project and the impact you will make, and are available to answer any questions you have. What type of volunteer projects do you have? We have volunteer projects that happen all across New York City serving meals, distribution food, stocking pantries, distribution benefits information, and more. Most of our projects happen Monday - Friday, with some weekend opportunities. Take a look here to browse where you can help. Can I bring a guest to volunteer with me? Every volunteer must be signed up online first. We do not accept walk-on volunteers. But please do encourage your friends to create accounts and sign up to volunteer with you! Each project has an age minimum displayed on the project description. Children ages 13 & up are welcome at our Shop & Stock program and children ages 16 & up can join us at our warehouse in the Bronx. Closed toed shoes and shirts with sleeves are required. No tank tops, shorts or skirts above the knee, or sandals are permitted. I need to cancel a volunteer shift – how can I do that? You can remove yourself from opportunities online in your ‘account overview’. Alternatively, contact the Volunteer Engagement Team at 212.566.7855 x2253 or volunteer@foodbanknyc.org. Why do I need to sign in when I arrive? This is how we record your attendance and the amount of hours you have volunteered, both for our records and any verification of service you may require. Volunteer hours are verified within one month of attendance. Do you provide verification of service/school credit? Once you have completed your volunteer hours, we are happy to provide you with a letter of confirmation on official letterhead, sent via email. This letter is acceptable verification for most courts, schools, and other organizations. To request a letter, send an email to volunteer@foodbanknyc.org with the following information: Full name, reason for letter (court, school, job application, etc. ), date needed and proper contact information. Please note that we are unable to process letters on demand. We may need up to 5 business days to complete your request. Food Bank For New York City has many volunteer opportunities around the holidays and throughout the year. Please note that the holiday season is a very popular time volunteer, therefore projects tend to fill up very quickly. If you are not seeing holiday projects, they are likely all full or have not yet been scheduled. Are there weekend/evening volunteer opportunities available? Most of our regular volunteer opportunities take place during the daytime on weekdays. However, from time to time we run programs on weekends and in the evenings. The best way to keep up to date with our volunteer opportunities is to regularly check our calendar. Where can I find exact location information for my volunteer opportunity? Location details are provided in your confirmation email once you’ve signed up for a project. The on-site contact will vary by project. You should contact our Volunteer Engagement Team for any of your project needs. We love volunteer photos! Grab a photo of yourself or your team in action and share on our social media channels. 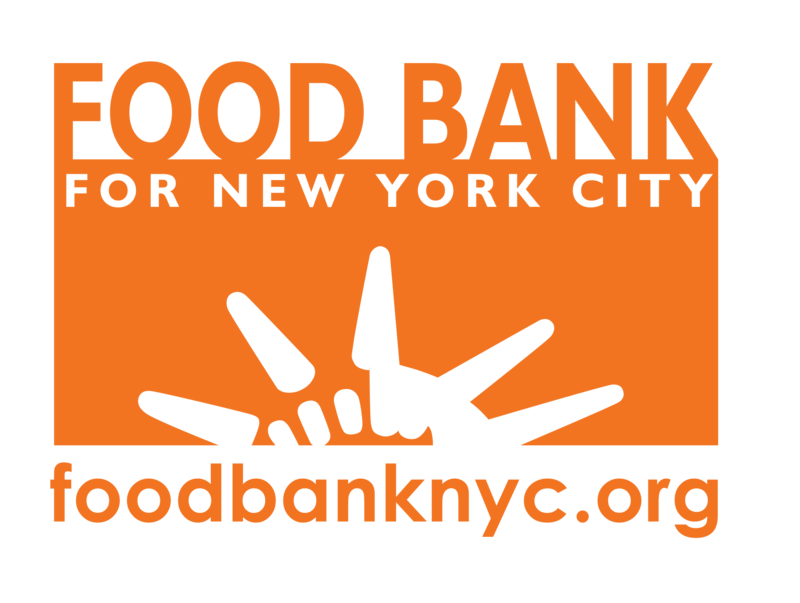 You can tag us on Facebook (Food Bank For New York City) or Twitter & Instagram (@FoodBank4NYC). Photos should not include clients or product for privacy reasons. Can I volunteer with a team? Absolutely. In “My Account” click “Create a Team,” then add new members. Then you can click “Sign up with a team” at any project! Not sure if you've signed up properly? Give the Volunteer Engagement Team a call. Can I reserve volunteer slots for my team if I don’t have their individual names yet? Email us with your project and team size, and we will reserve any available spots for your team. We will send you a form to fill out once you know who will be joining you. Up to two weeks before the project we will hold the blank spaces for your team, so make sure to get the list back to us by then! How do I waitlist myself for an opportunity? What happens next? When an opportunity is full, our system won’t allow you to sign up. Instead, it will give you the option to be waitlisted. This means that when a spot opens up, you’ll receive an email letting you know you can sign up. Be sure to head to our site as soon as you see the email – because other waitlisted volunteers will receive that email, too, and there might only be one spot! Some projects have an ‘express interest’ rather than a ‘sign up’ button. What does this mean? A project that has “express interest” on the signup page means that we need to meet a volunteer minimum in order for the project to happen or that we have an opportunity without a set date schedule. It’s our way of seeing if you’d be free to join us if the minimum is met. When we meet the volunteer minimum, you’ll receive a confirmation email with details for the project. If you haven’t received this email, this means you shouldn’t attend the project. I’m having trouble logging in to my online account, what should I do? You can contact our Volunteer Engagement Team for any questions you might have! Email us at volunteer@foodbanknyc.org or call us at (212)566-7855 ext. 2223. We sure do. Our system only accepts US addresses. If you're visiting from abroad, you shouldput down the address you'll be staying while you're here. Do you offer projects for teams of adults with special needs? Yes! We work closely with groups of adults with special needs to schedule projects according to each group's abilities. To talk about signing up a group of special needs adults, please email volunteer@foodbanknyc.org or call (212)566-7855 ext. 2223. Most of our projects fill up 1 to 2 weeks before the project date. Project signup closes 24 hours in advance. If you'd like to sign up for a project day-of give our Volunteer Hotline a call at (212) 566-7855 ext. 2223. Food Bank works with sensitive populations; what if I see something troubling at my volunteer project? No director, officer, employee or volunteer who in good faith reports any action or suspended action taken by or within Food Bank For New York City that is illegal, fraudulent or in violation of any adapted policy of Food Bank For New York City shall suffer intimidation, harassment, discrimination or other retaliation or, in case of employees, adverse employment consequence. Reports of violations or suspected violations of such corporate policies or laws are to be made to the President of Food Bank For New York City, who is the administer of the policy and who reports to the Executive Committee of the Board all relevant information and the steps recommended for dealing with the circumstances. When the Executive Committee approves the recommended steps, the President shall implement approved recommendations. The confidentiality of the reported information shall to the extent appropriate be kept confidential. Food Bank For New York City shall establish and maintain procedures for preserving the confidentiality of such information. For a copy of this policy or more information, email us at volunteer@foodbanknyc.org.